So impressive is her work to build the world’s first quantum computer, the Australian Laureate Fellow has been honoured alongside Albert Einstein and Stephen Hawking. 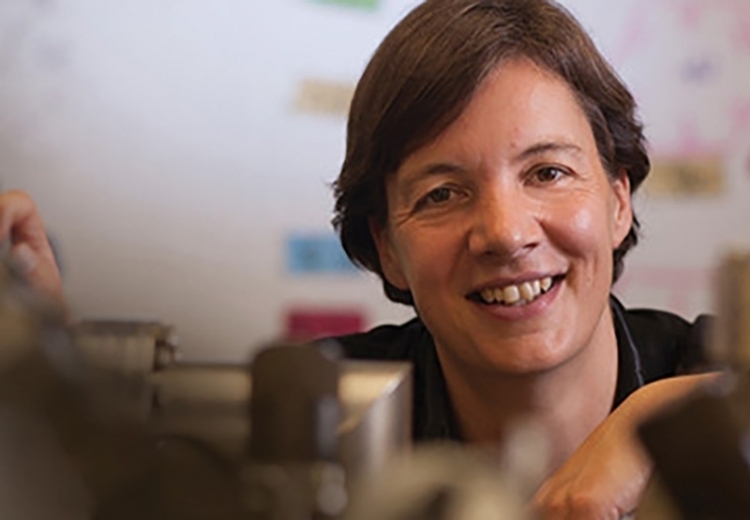 Scientia Professor Michelle Simmons leads the world-leading silicon based quantum computing team at UNSW. Her collaborative research contractual arrangements and quantum computing patent portfolio are managed by UNSW Enterprise. In 2016 a new spin-out company to commercialise the quantum computing technology will be formed with the foundation shareholders, the Commonwealth Government, the Commonweath Bank of Australia (CBA) and Telstra. UNSW Enterprise was instrumental in creating the commercial deal structures that secured the research funding and formal acknowledgement of the UNSW – CBA relationship in December 2014. On 7 December 2015, UNSW welcomed the federal government’s announcement of a $26 million investment in the University’s world-leading quantum computing research. A day later, the CBA pledged a further $10 million to support UNSW's quantum mission. Shortly afterwards Telstra matched the Commonwealth Bank pledge of $10 million. Telstra announced an in-principle commitment of $10 million plus in-kind support over the next five years to the UNSW-based Australian Research Council Centre for Quantum Computation and Communication Technology. The CBA's $10 million pledge and the Telstra pledge of $10 million to UNSW sends a powerful message about industry collaboration on world-leading Australian innovation. Read more about Professor Simmons' research here.